The EVMS Global Health division advances EVMS' community-oriented vision by engaging in global health education, research and service in pursuit of health equity for all. 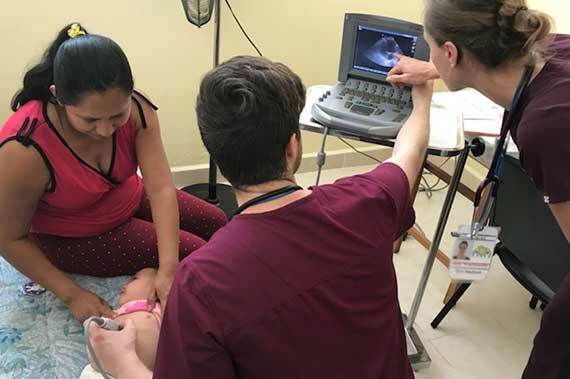 Our local programs include the Medical Spanish, Medical French, and Refugee Health service-learning initiatives, support of Rural Area Medical clinics throughout Virginia as well as a developing border health program on the Texas/Mexico border. 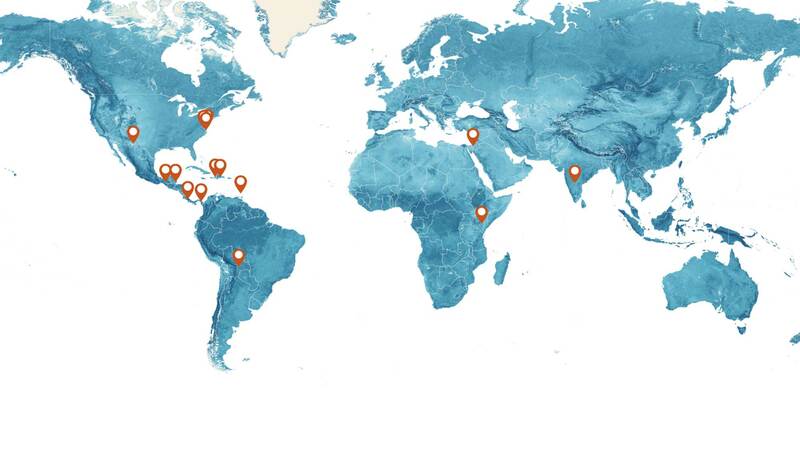 Internationally, our EVMS global health sites are supported by partnerships in the Dominican Republic, Mexico, Grenada, Belize, Bolivia, Kenya, Israel, India, Bangladesh and many more. EVMS Global Health fosters collaboration with local and international NGOs that support education, quality improvement, clinical service and collaborative research to strengthen systems of care and uphold the health of communities worldwide. The Medical Spanish Initiative builds capacity among future and current healthcare professionals to engage successfully with patients and community stakeholders in multilingual and multicultural settings . Through a generous gift from the Batten Educational Achievement Fund of the Hampton Roads Community Foundation, the EVMS Spanish Bilingual Clinician Certificate & Longitudinal Medical Spanish Service Learning Initiative is a multifaceted program that incorporates a language curriculum recognized by the National Institutes of Health to facilitate medical Spanish fluency in health professionals in Hampton Roads and beyond. Our medical and health professions students complete an online medical Spanish curriculum, participate in on-campus medical Spanish classes, support a bilingual student-run free clinic for uninsured Spanish-speaking community members, enjoy monthly lunch-and-learn sessions with community mentors, facilitate health fairs within our local Hispanic community, participate in collaborative research with Spanish-speaking community partners locally and internationally, enjoy local Latin-American cultural events, celebrations and Spanish home dinners, and have the opportunity to engage in international medical Spanish immersion, research and clinical service missions. The Medical French Initiative builds capacity among future and current healthcare professionals to engage successfully with patients and community stakeholders in multilingual and multicultural settings. The Medical French Initiative builds capacity among future and current healthcare professionals to engage successfully with patients and community stakeholders in multilingual and multicultural settings. In collaboration with the Norfolk Chapter of the Alliance Française, EVMS students complete a customized two-year medical French curriculum that culminates in a bilingual clinician certification. Hampton Roads is home to a large underserved Francophone community, including Congolese refugees and Haitian immigrants. The EVMS Medical French Initiative serves to support meaningful engagement within these communities, in addition to partnerships with Francophone patients and community advocates worldwide. The multi-faceted program consists of weekly language classes taught by native French language instructors, French conversation groups, engagement in the Global Health Community Narrative Series, local clinical outreach and community engagementcultural exposure and opportunities for collaborative research and training in international Francophone settings, including Haiti and Senegal. This initiative aims to improve health quality and access for Francophone communities worldwide by supporting the effective communication, cultural awareness and commitment of the physicians and health care professionals who seek to serve and partner with these communities. Students identify the unique health needs of our local refugee population and work with community partners to improve the health of local refugees. Global conflicts and natural disasters have contributed to the growth of refugee populations around the world and in our local community. Refugees are at risk for a number of medical and mental health conditions, in addition to sociocultural and language differentials that may act as barriers to health care. Students participate in the process of identifying the unique health needs of our local refugee population and work with the Newport News Refugee Settlement and community partners to improve the health of the refugee population in Hampton Roads. The EVMS Refugee Health Initiative, established in 2017, facilitates the engagement of students and faculty with community partners to identify and address the unique health needs of the local refugee population. Students work with regional partners including Commonwealth Catholic Charities, the local federally-appointed refugee resettlement center, and NGOs such as Hampton Roads Refugee Relief. Through education, research, and service, students acquire competence, humility, and awareness in serving refugee patients. All opportunities are developed and sustained collaboratively in response to community-identified needs. 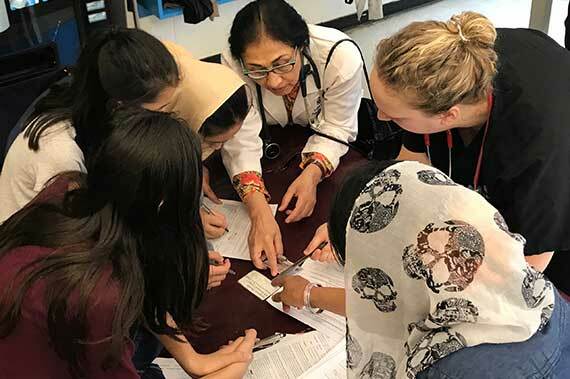 Through the EVMS Refugee Health Initiative, students facilitate health fairs that provide health screenings and improved access to specialty care, health education and opportunities for community engagement, in addition to formal evaluation of current and future community health needs. Introduce students to the particularities of refugee health and resettlement programs and the study of refugee health topics as they are related to local economic, geographic and demographic factors in Hampton Roads. Collaborate with staff of the Newport News Refugee Settlement organization and other community partners to evaluate and directly address health needs of local refugee community through realization of service-learning experiences such as health fairs that contribute to community integration. Acquire competence and familiarity serving refugee patients through experience of medical, dental and mental health issues, cultural perceptions and societal barriers to healthcare experienced by refugee community. Enhance awareness and promote change in students’ attitudes toward medical/mental health issues common to refugees and related to the process of resettlement. Support students’ acquisition of knowledge and experience of refugee health issues locally and worldwide and reinforce the growth of the EVMS Service-Learning Program as a vital component of the institution’s community focus. The development of strong bidirectional community partnerships is vital to the growth and sustainability of EVMS Global Health initiatives. We have fostered community partnerships with many extraordinary local organizations, including Eastern Shore Rural Health, the Virginia Department of Health, Commonwealth Catholic Charities, Hampton Roads Refugee Relief, Access Partnership, Alliance Française Hampton Roads, the ODU School of Dental Hygiene and the LIONS Club. These partnerships allow us to collectively meet the unique needs of our community and build community capacity for improved health. Supporting and strengthening local health systems while respecting the complexities associated with global health work is critical to the development of our international programs. Well-founded international partnerships enable collaboration in bidirectional, sustainable global health initiatives. 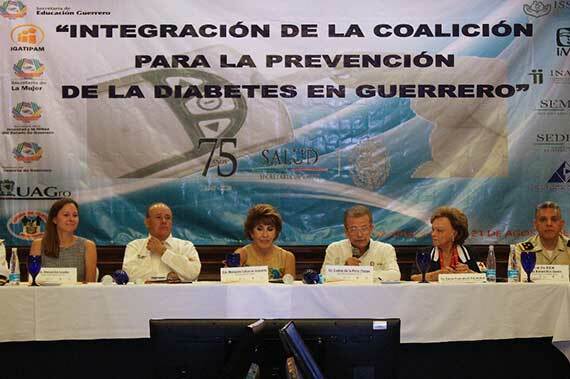 EVMS Global Health has consolidated partnerships with Child Family Health International (CFHI), Medglobal, IVUmed, Physicians for Peace, Pratit International, World Pediatric Project, The Saint Damien Collaborative, Floating Doctors, Institute for Latin American Concern, and various other international health systems and academic institutions. Cultivate collaborative working relationships with their peers and mentors from diverse fields of study and practice. Seek exposure and collaboration with diverse communities, fostering the intentional commitment to lifelong learning and a broadened world-view. Support skills acquisition to engage effectively in multilingual healthcare settings. Maintain a commitment to integral partnerships with our local and global communities to better understand, address and advocate for their needs. Dr. Alexandra Leader is a pediatric emergency medicine physician and public health advocate dedicated to building EVMS’ capacity and commitment to address health inequity worldwide. Since joining the faculty as the founding Director of Global Health, she has fostered the growth of global health training, education and service initiatives at EVMS. Dr. Leader supports diverse local community collaborations and has consolidated 17 international partnerships to support ethical, sustainable engagement in health promotion worldwide. 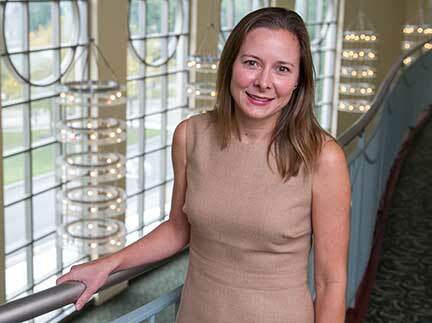 Lydia Cleveland has a background in public health and epidemiology and works closely with Dr. Alexandra Leader to realize the vision of Global Health at EVMS. 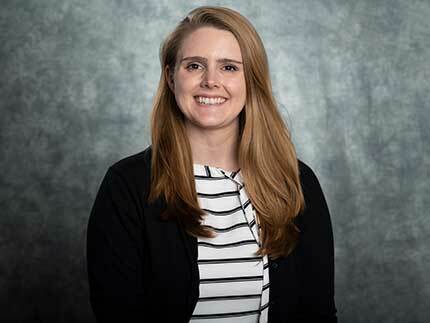 Since joining the staff as program coordinator in 2018, Ms. Cleveland has formalized comprehensive global health competencies training for students and faculty engaging in international initiatives, developed tools and resources available to trainees engaged in global health research and training, and mentored students in research and development for local and international programs.